Although he hails from the flatlands of Kansas, Ryan Ness has been enthralled by the river life since he was a young boy. His first time on the water was on the placid Kansas River above Lawrence, Kansas, in a Coleman Canoe. Flatland, flat water. But then he took many trips on the Buffalo River in Arkansas, the Current River in Missouri, and the White River, also in Missouri, where he went for his first cold swim in a rapid. Moving to Colorado gave him his first taste of kayaking and he was hooked. After a too exciting first trip, he has thoroughly educated himself on the art and science of kayaking, taking classes from certified instructors with Colorado Whitewater. Ryan is now himself a certified whitewater instructor with the American Canoe Association, as well as certified in swift water rescue with the ACA. He has been on many multi-day trips and paddled on a total of 18 rivers and creeks in six states. Among his favorites are the Salmon River in Idaho, Desolation Canyon, Utah, and Cataract Canyon downriver of Moab, Utah on the Colorado. 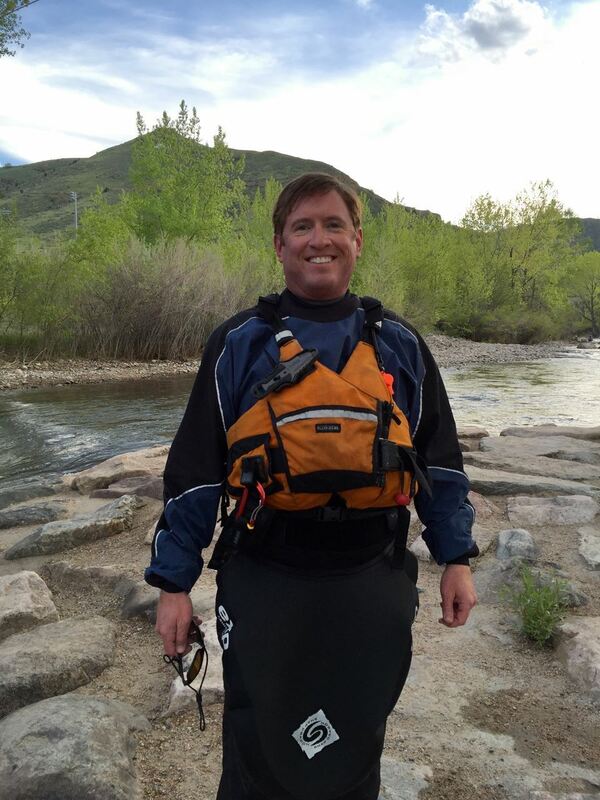 Most weekends will find him on the Arkansas, Colorado, or Poudre rivers, or after work on Clear Creek in Golden.